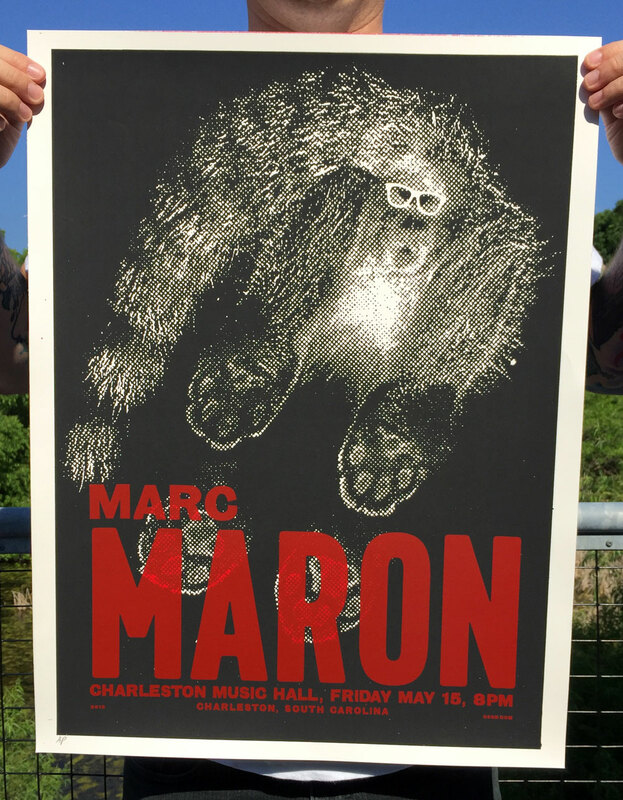 well the marc maron show at the charleston music hall was a huge success and he killed. one of my favorite comedians who has a podcast, WTF, that i listen to weekly, he came to charleston, the great charleston music hall(thanks charles) and made us all laugh, was a real gentleman and heckled my good friend buff ross. classic. thanks for coming marc, hope to have you back sometime soon. very proud to design a poster for this show and a huge thank you to the great johnny pundt for pulling the squeegee on this one. right on!